Buy Be Inspired with Dominic a Coffee. 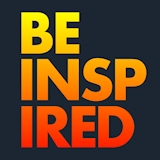 ko-fi.com/beinspired - Ko-fi ❤️ Where creators get paid by fans, with a 'Buy Me a Coffee' button. Inspiration comes in many shapes and sizes. My goal is to show you some of them, and to get you to make your own things, no matter what kind. Always remember to Be Inspired! If you are here, chances are you enjoy what I do. I do it to inspire, but I would appreciate any support you could give me to keep this sustainable. Thank you, and remember to Be Inspired! Secured Payments. Support goes to Be Inspired with Dominic's account. Upgrade Be Inspired with Dominic to a yearly Gold Membership with a one-time payment.